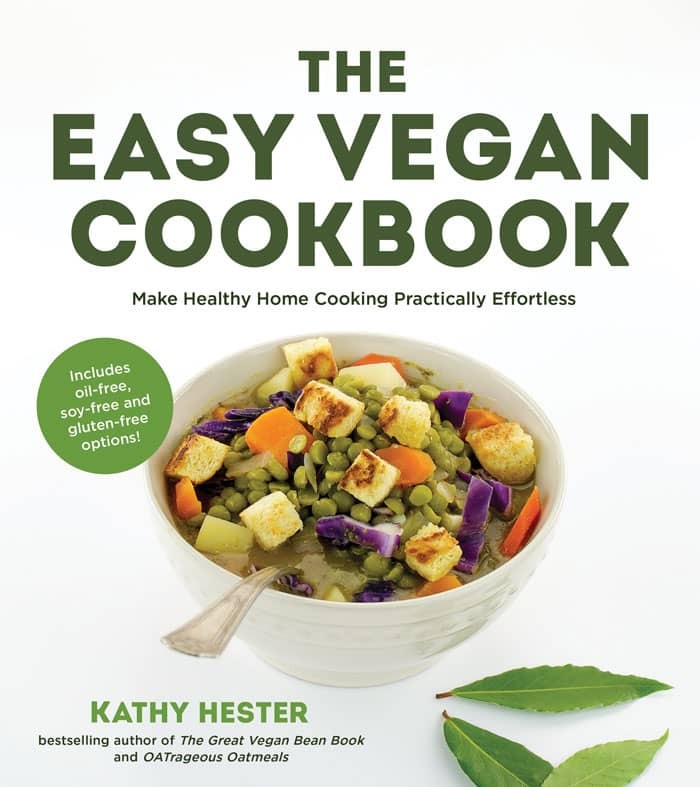 I love carrot dogs so much that I had to include them in my book, The Easy Vegan Cookbook! This is the time of the year that I start inviting people over for a light dinner on the deck with a few cocktails and mocktails. These dogs are on my list to make this weekend, so I wanted to give you my updated recipe in case you want to make some too. What’s a carrot dog? It’s more than a steamed carrot in a bun. You marinade the mostly cooked carrots in a mixture of vinegar, sesame oil, and other seasonings. This transforms the lowly carrot into something that tastes reminiscent to hot dogs and close to the veggie dogs that I’m more familiar with. You can easily make these oil-free by leaving out the sesame oil or using tahini in its place. Be mindful of how long you marinade these because they will get more vinegary as they sit. I don’t mind that, but Cheryl won’t eat them if they are marinated more than 24 hours. I want to try these in some other traditional hot dog recipes like carrots in a blanket and mummy carrots for Halloween. 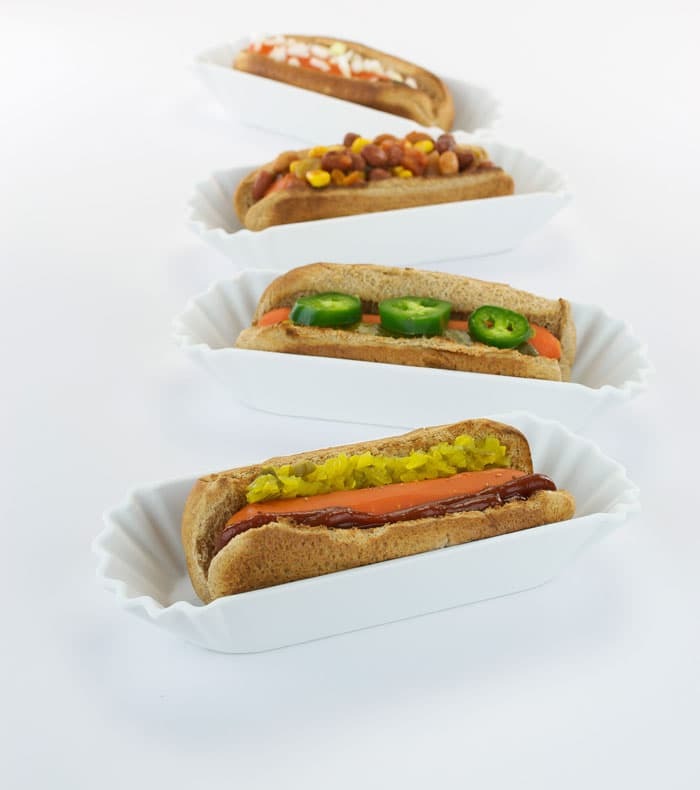 What’s your go-to hot dog substitute? A carrot is the same shape as a hot dog and close enough in color to make a decent substitute. But what about the taste? I promise you, this marinade really takes it to the next level. I think the sesame oil helps, but the vinegar gives it that “cured” flavor too. Heat water in a pot large enough for all the carrots. When it comes to a boil, turn down to medium heat and add the carrots. Cook until you can just pierce them through with a fork; you want them have a snap when you bite into them. Remove from pot and run cold water over them to stop them from cooking. In a container with a tight-fitting lid, combine the remaining ingredients to make the marinade. Tighten the lid and shake until well mixed. Place the carrots in a container in which they can lie flat. Pour the marinade over them and marinate at least 3 to 4 hours, up to 24. The longer they marinate, the more vinegar flavor they take on. If you know you need to leave them longer than a day, cut the vinegar to ⅛ cup (30 ml). If the carrots are very skinny, keep the time short. To serve, heat the carrots in a 350°F (177°C) oven, or in a grill pan on a hot grill, until heated through, 10 to 15 minutes. Serve in a toasted hot dog bun or wrapped in a lettuce or collard leaf, and pile on your favorite toppings. TIP: You can cook these in your slow cooker in the marinade. You need to check on them so they do not get mushy, so it is not a set-it-and-walkaway affair. Cook until a fork just goes through the carrot but it is still slightly firm. Oh my- this a genius idea!!! What better way to eat carrots! I never liked hot dogs (though I must say I love veggie dogs) but these look perfect for when you want something lighter!!! (or when you got the buns to make veggie dogs and forgot to check the freezer for the actual veggie dog part- cause that ABSOLUTELY NEVER happens :P) Seriously- these just look like they’d be perfect for whenever and wherever! Just OH MY! (Maybe it’s just cause I like carrots). Kathy, I’m not familiar with coconut aminos. Are you saying to use soy sauce & vinegar instead? Would that change the flavor much? TX! It’s just a low sodium, gluten and soy-free soy. Soy sauce will work fine. I say to use unseasoned vinegar when you use soy sauce because there’s more sodium in the soy. It will taste great! Yum! Want to try these at a BBQ later today. But you can’t get liquid smoke in the UK – what’s an alternative I could use? You could try using some smoked paprika. Instead of using it in the marinade, I would sprinkle it on right before I do the final cooking step. I made these with a marinade of tarragon vinegar, lite soy sauce, liquid smoke and a 21 blend spice mix. They absolutely smelled like hotdogs and have none of the downside of hotdogs. I topped mine with mustard, spicy relish and chopped onion. Thank you! Great Memorial Day treat!